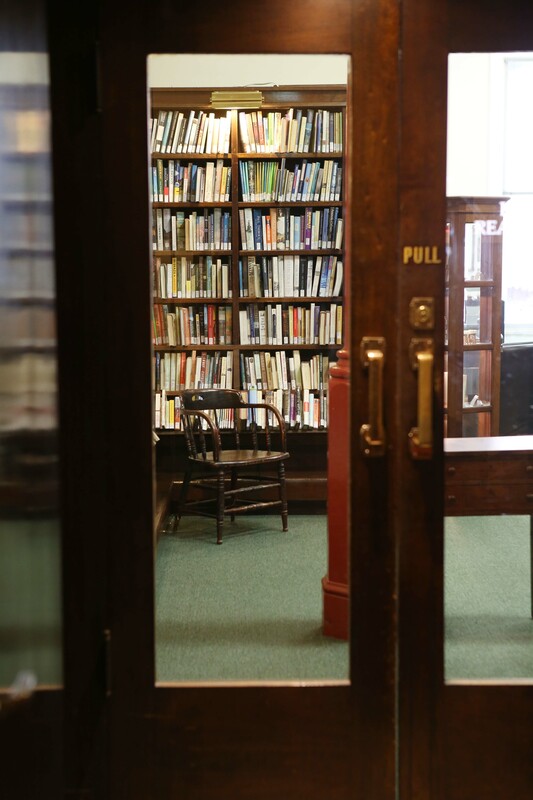 The Melbourne Athenaeum Library, a spacious, quiet and light-filled centre for book-lovers started as a collection of donated books in a small rented house at the corner of Queen Street and Bourke Street. 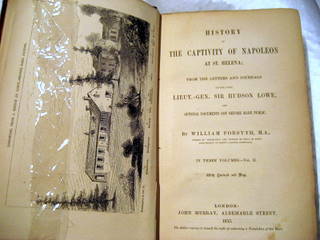 Among the first books donated were those of Henry Gisborne, a vice-president elected at the founding meeting in 1839. 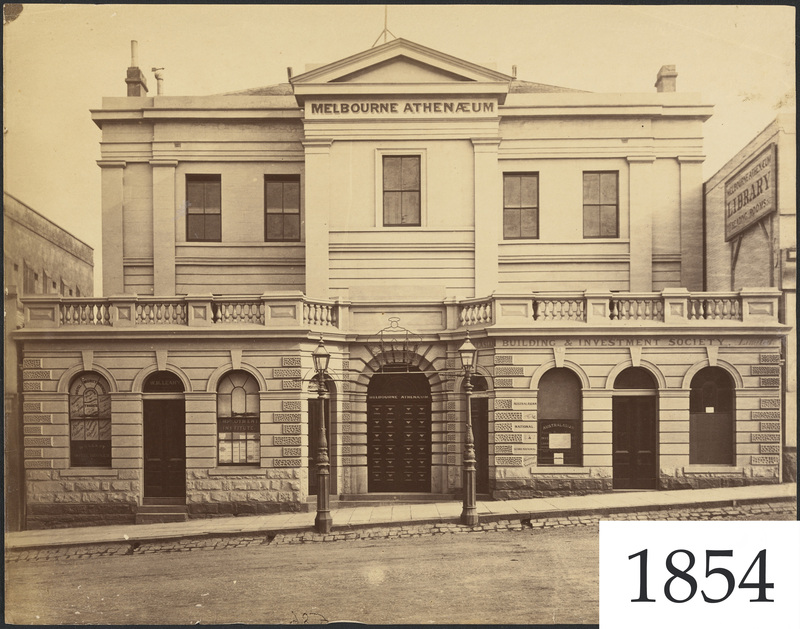 Read about Henry's gift of books by Matthew Gisborne, a member of the Melbourne Athenaeum's Committee of Management: The First Books. 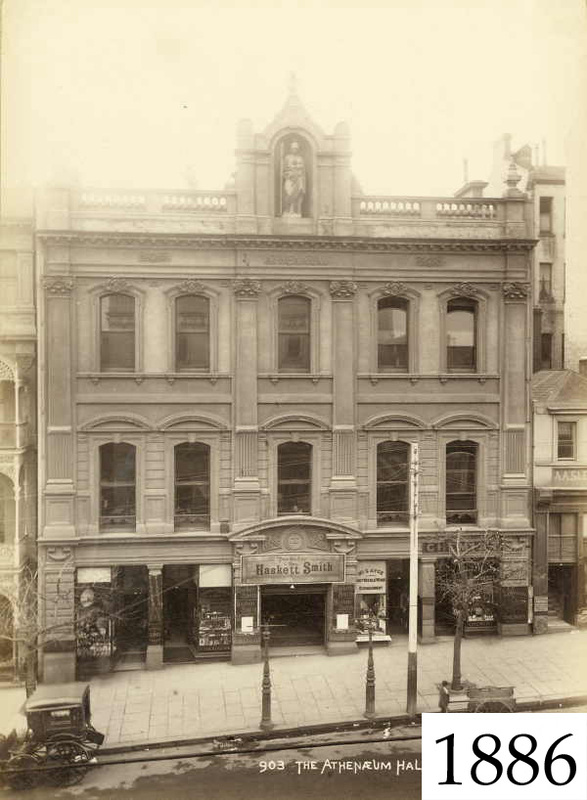 In 1843 the Library was moved to the ground floor of the Mechanics' Institution's new, two-storey building in Collins Street. Over the years there were many improvements to ensure members had a comfortable, well-stocked Library. A separate Reading Room was established, providing regional and overseas newspapers and magazines – a highly-valued asset in a colonial town. 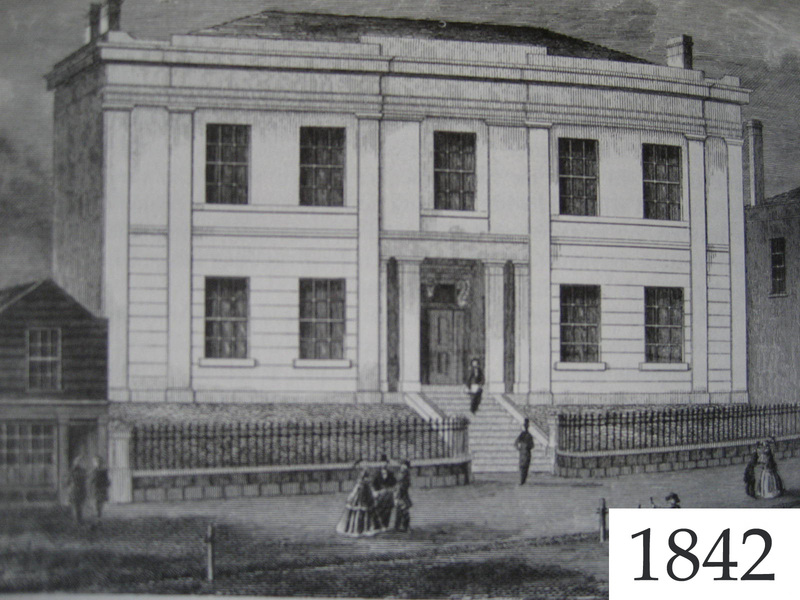 By 1845 the library contained 650 volumes and membership had grown to 224. A time capsule originally buried in 1872, located during the 1924 renovations. The contents were added to a new capsule and buried under the foundation stone.